Uber announced Wednesday that it’s rolling out a new product: Uber Pool Express, a carpooling service targeted at commuters. Uber won’t like this comparison, but honestly, just think of it as a bus stop. When a rider selects Pool Express, the app groups them with nearby riders who are all going to destinations that are near each other. Uber then determines a “smart spot” for riders to walk to. From there, a driver picks everyone up at once and drops them off at a spot near all of their destinations. Unlike traditional Uber Pool, there’s a single pick up and drop off spot for all riders. Uber piloted the service in San Francisco earlier this year, and now Pool Express is being rolled out in cities across the US. Uber told the Washington Post that Pool Express will be about 50 percent cheaper than Uber Pool. How is this not a bus stop? Uber director Ethan Stock shrugged off the bus comparisons, saying Express Pool isn’t analogous to public transportation because pickup and drop off points are algorithmically determined based on riders’ locations and where they’re headed, as opposed to being fixed routes with set pickup times. “Everything about the Express Pool product is dynamic,” Stock told reporters. But Silicon Valley’s need to “disrupt” everything by way of thing-sharing apps and marketing contrivances leads to thunderously out of touch statements. Is Uber trying to rebrand carpooling and riding the bus as an eco-friendly gimmick? Stock’s reasoning only makes sense if you forget car ownership is still a luxury for many people. No wonder this pilot started in San Francisco. But, as it happens, I visited San Fran just last week and gave Express Pool a few tries. It was... fine? In my experience, Express Pool was about $2 to $3 cheaper than Uber Pool (a traditional shared ride), which makes it drastically cheaper than Uber X (a solo ride.) Still, there’s at least one downside. It takes a few minutes for the app to determine the pick-up and drop-off locations, and then it takes a few more minutes for a car to arrive. Minor inconveniences, but still pretty annoying if you’re accustomed to being whisked away in a Prius or just driving somewhere yourself. 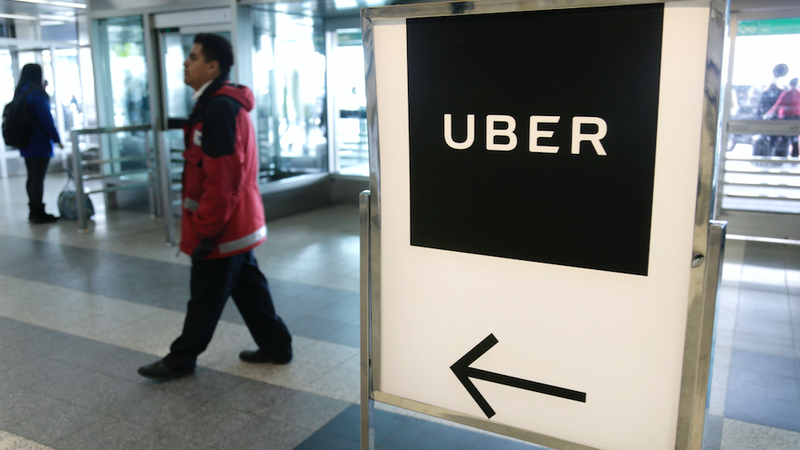 When The Information reviewed Uber’s 2017 finances recently, it noted that Uber Pool has never been profitable, but its cheaper price attracts new customers who otherwise might not use the app. Pool Express may similarly make Uber an option for people who would otherwise skip the app over higher prices. And who are we talking about, exactly? Uber is aiming Pool Express squarely at commuters who want to save money, but don’t want to ride the bus. Pool Express is basically a fancy, excuse me, dynamic, bus stop meant to pull in consumers who otherwise never think of Uber-ing to work. If anything, Uber is trying to get people think of it as convenient, cost-saving utility versus a commodity. Obviously, traditional public transportation is more environmentally friendly than ride sharing, but who wants to give up the convenience of traveling faster, with fewer people, and closer to your actual destination? I think Pool Express will be a hit, but rather than congratulating Uber for reinventing the wheel, why not just ride the bus?